We begin by describing the history of Romania, saying that most of Romania was located in the Roman province of Dacia from about between 100 to 271 AD “Then we find that in the history of Romania since the 3rd century to century 12, there was a stampede after another barbarian conquerors overran the native Daco-Roman population. 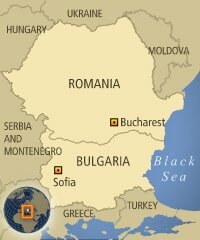 Another significant facts we highlight in the history of Romania was that that submitting the first Bulgarian Empire (in the ages 8 and 10) brought Eastern Orthodox Christianity to the Romanians. In the 11th century, Transylvania was absorbed into the Hungarian Empire. Romanian history tells us that before the 16th century, the main Romanian principalities of Moldavia and Walachia had become satellites within the Ottoman Empire, although they retained much independence. In the history of Romania, we see that after the Russo-Turkish War of 1828-1829, these countries became Russian protectorates but the nation of Romania became a kingdom in 1881 after the Congress of Berlin. What makes it a key historical event in the history of Romania. Continuing the story of the history of Romania we can say that at the beginning of World War I, Romania proclaimed its neutrality, but later Romania joined the Allied countries and in 1916 declared war on the Central Powers. Also in Romania’s history we find that the armistice on November 11, 1918, gave huge Russian territory to Romania and Austria-Hungary, bases its size. 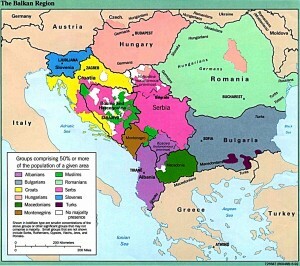 The areas already acquired included Bessarabia, Transylvania and Bukovina. The Banat, a Hungarian area, was divided with Yugoslavia. King Carol II was crowned in 1930 and transformed the throne in a royal dictatorship. Then in Romania’s history we see how in 1938, the king abolished the democratic constitution of 1923. In 1940, the country was reorganized along Fascist lines, and the Fascist Iron Guard became the nucleus of the new totalitarian party. On 27 June the Soviet Union occupied Bessarabia and northern Bukovina. King Carol II dissolved parliament and gave the new prime minister, Ion Antonescu, the total power, then abdicated his throne, and went into exile. Undoubtedly unfortunate fact in the history of Romania. Romania subsequently signed the Axis Pact on November 23, 1940, and June following participated in the attack of Germany on the Soviet Union reoccupied Bessarabia. Approximately 270,000 Jews were massacred in Fascist Romania. A completely regrettable and unacceptable fact in the history of Romania after the invasion of Romania by the Red Army in August 1944, King Michael led a coup that ousted the Antonescu government. An armistice with the Soviet Union was launched at the meeting in Moscow on September 12, 1944. A bloc dominated by the Communist government won the elections in 1946, Michael was abdicated on December 30, 1947, and in 1955 Romania joined the Warsaw Treaty Organization and the United Nations. Some very famous in the history of Romania. Finally we can say about the history of Romania controlling a neo-Stalinist police state from 1967-1989, Nicolae Ceausescu wound the iron curtain very strong about Romania, turning a moderately prosperous country in a country on the brink of widespread hunger Village Romania. To repay the foreign debt of 10 billion dollars in 1982, this evil president who had the history of Romania, ransacked the Romanian economy of everything that could be exported, leaving Romania with desperate shortages of food, fuel, and other objectsstaples. A rebellion aided by the army in December 1989 led to the overthrow of Ceausescu, impeached and his subsequent execution.This was taken as a matter of justice in the history of Romania. Keywords: History of Romania. Historical facts of the history of Romania. Participation of Romania in the first and second world war.The war of the Balkan countries and Romania. Independence of Romania. Presidents of Romania. Enemies and allies of Romania.Society, politics and kings of Romania.